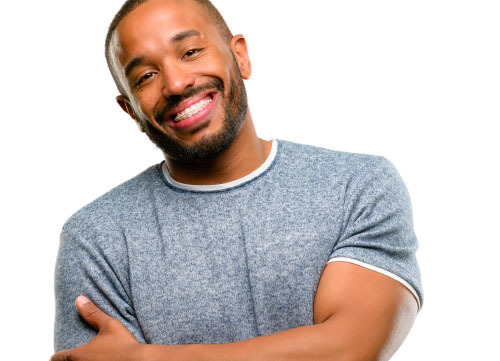 We offer a fast solution of straightening your teeth through braces, made specifically to fit your mouth. Fischer Family Dentistry is Southeast Michigan’s leading provider of Fastbraces® technology. This revolutionary system can straighten your teeth in half the time of traditional braces. It’s safe, easy, and affordable. And it’s a convenient option for adults who want fast results. Traditional braces can take up to two years to produce results. They work in two stages. First, they move the crown of the tooth into alignment. Then they do the same with the root of the tooth. FastBraces move the root from the very beginning. This patented system uses triangular brackets and a square-shaped wire to correct the position of the tooth. They’re similar to traditional braces in appearance. But because they align the crown and the root at the same time, they work much faster to straighten your teeth. Depending on the state of your teeth, your Fastbraces can finish the job in 3 months to one year. Some patients begin to see results within weeks! Research has shown that Fastbraces cause less pain and discomfort than traditional braces. This is because they’re designed to create fewer frictional forces on your teeth. Patients who’ve been treated with traditional braces often have to wear retainers after the braces are removed. In most cases, those retainers must be worn for hours at a time, or overnight. 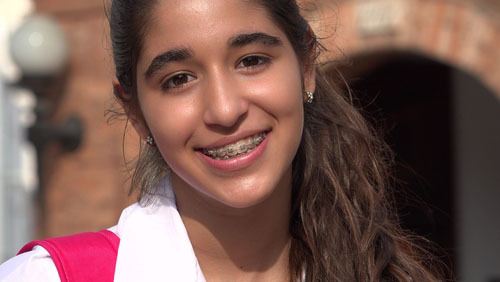 With Fastbraces, you can wear your retainer for just 15-20 minutes a day after they’re removed. This is huge for your convenience, and comfort. FastBraces are changing the landscape of orthodontics. We’re proud to offer this cutting edge technology to our patients. If you want perfectly aligned teeth in a short amount of time, ask us about Fastbraces during your next visit.